Typically, DNA is introduced at the cut site using donor plasmids that hijack the cellular DNA homologous recombination repair mechanism. Since these donor plasmids are site specific, if the target site is shown to be suboptimal, targeting another site requires building a completely different plasmid system, which ends up being a difficult, time consuming, and costly process. Another significant problem is that CRISPRs can introduce many off-target mutations. Even a single off-target effect can lead to extensive errors in many experimental settings. Currently, off-target effects are difficult to prevent, and low-cost tools that enable routine and effective detection are not yet available. As GEN went to press, scientists at the Broad Institute of MIT and Harvard and the McGovern Institute for Brain Research at MIT published a paper in Science that described changes to the CRISPR-Cas9 system that cut down on off-target editing errors. Feng Zhang, Ph.D., and his colleagues report that changing three of the approximately 1,400 amino acids that make up the Cas9 enzyme from S. pyogenes dramatically reduced “off-target editing” to undetectable levels in the specific cases examined. The team used knowledge about the structure of the Cas9 protein to decrease off-target cutting. DNA, which is negatively charged, binds to a groove in the Cas9 protein that is positively charged. Knowing the structure, the researchers were able to predict that replacing some of the positively charged amino acids with neutral ones would decrease the binding of off target sequences much more than on target sequences. Although whole-genome sequencing can be used, this technique is beyond the capacity of most laboratories. The best alternative is to individually test a few of the predicted off-target sites. Still, it should be kept in mind that most systems can detect modification rates as low as 1%, but not lower. “When used in complex organisms that have billions of cells, we must be confident that there are no off-target mutations, or at least that they are not causing significant problems. More sensitive detection systems are needed, as well as more efficient gene-editing tools that can offer improved specificity. This could be accomplished by either identifying new types of nucleases or by using molecular evolution to enhance existing nucleases,” concluded Dr. Perez-Pinera. Targeted mutagenesis in induced pluripotent stem cells (iPSCs) used to be virtually impossible. Although designer nucleases could be used to delete multiple bases and damge genes, an efficient method did not exist for making more difficult single base-pair changes. Rare Allele Induction and Detection (RAID), a method developed by the Conklin laboratory, combines droplet digital PCR (ddPCR), the TaqMan PCR system, and iPSC-derived human cardiomyocytes to allow for precise base-by-base genome editing. A ddPCR assay determines if a point mutation is present in a mixed population of cells, then clones are isolated by sib selection. “The vast majority of human mutations are single-base substitutions, which can be more subtle than deletions. You can only do a single-base substitution one way, whereas you can knock out or delete a gene in many ways. 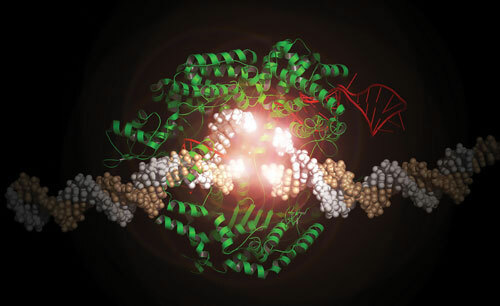 As more Cas9 tools are developed, so will the ability to walk through anywhere on the genome and edit at will,” discussed Bruce R. Conklin, M.D., investigator, Roddenberry Center for Stem Cell Biology and Medicine, Gladstone Institutes, professor, division of genomic medicine, University of California, San Francisco. Multiple mutations are associated with heart failure and dilated cardiomyopathy. These mutations, however, have not been incorporated into isogenic human models, and so our knowledge of these mutations has done little to advance our understanding of the genetic causes of heart disease. With RAID, models could be developed that not only make use of human tissue but also reflect the mutations of interest. “If we can duplicate a series of mutations in a cell line, therapeutics can be tested to obtain preliminary data,” says Dr. Conklin. “Genome engineering and iPSCs are the two critical tools that make this possible. Experimental genetics will aid the process of understanding singe-base mutations in the future, and eventually define the functions of single nucleotide polymorphisms (SNPs) that are associated with common diseases to annotate the genome and provide actionable information. Researchers at the Roddenberry Center for Stem Cell Biology and Medicine produced the cardiomyocytes shown in this image from human induced pluripotent stem cells. The red stain indicates actinin, a cardiac motor protein. Life sciences companies continue to address and simply the use of CRISPR-Cas9. For example, the streamlined genome-editing workflow from Thermo Fisher Scientific allows efficient engineering of any cell line in four days. The first day, short DNA oligonucleotides are designed and ordered, and cells are seeded for next-day transfection. The next day, the oligonucleotides arrive, and in a single-pot PCR reaction, they are used for the assembly of a gRNA template for in vitro transcription to obtain ready-to-use gRNA. The gRNA is then complexed with the Cas9 protein, and the resultant ribonucleoprotein (RNP) complex is delivered by means of electroporation or lipid-mediated transfection. Transfected cells are harvested and analyzed 24–72 hours post-transfection to measure the cleavage efficiency at the desired locus. “We have tackled three main pains: the efficient delivery of the CRIPSR-Cas9 tools into traditionally hard-to-transfect cells, including stem cells, blood cells, and keratinocytes; the minimization of off-target effects, which we believe are associated with a rapid depletion of the transfected Cas9 protein in the cell, contrary to the accumulation observed when transfecting with a plasmid expressing the protein; and finally the ability to multiplex in a single transfection experiment the knockout of various genes targets,” stated Carolina Elvira Cesar, technical support scientist, Thermo Fisher Scientific. Neon electroporation is a powerful methodology to transfect difficult-to-transfect cells but requires a specialized device. Lipid-mediated transfection reagents, such as CRISPRMAX lipofectamine, are an economical option. Good results can be achieved in cell lines that traditionally require electroporation, and multiple cells can be transfected simultaneously. Currently, knockout models can be generated efficiently and rapidly. However, the process for replacing small DNA sequences or introducing large exogenous DNA fragments in knockin experiments needs improvement. In addition, high-throughput functional genomic screening demands are high, and CRISPR libraries and arrays are emerging as the next-generation tool. Takara Clontech also provides CRISPR-Cas9 workflow tools. For example, the Guide-it Complete sgRNA Screening System is used to test the efficacy of different single-guide RNAs (sgRNAs) in vitro prior to delivery into cells. PCR is used to create a template containing a sgRNA target site, which is then combined with the sgRNA and recombinant Cas9 nuclease. Cleavage efficiency is evaluated on an agarose gel, allowing elimination of low efficacy sgRNAs. To prevent genomic integration and persistent expression of Cas9, adeno-associated virus (AAV) delivery can be used. The AAVpro CRISPR-Cas9 System allows helper-virus-free preparation of AAV2 particles for genome editing. However, the large size of Cas9 precludes its packaging into one single AAV particle. To overcome the size restriction, a two-vector system has been developed to deliver the large Cas9 gene and a user-defined sgRNA. The system allows efficient genome modification in a wide variety of mammalian cells, in vitro as well as in vivo. Compared to plasmid delivery, higher genome-editing efficiencies are achieved, especially in hard-to-transfect cells. The Guide-it Genotype Confirmation Kit is a simple method to determine if a given clone has monoallelic or biallelic mutations, or is unchanged (wild type). The protocol involves PCR amplification of the target site and in vitro cleavage with recombinant Cas9 and the sgRNA used for the original CRISPR-Cas9 experiment. Genotypes can be determined by resolving the cleavage products on an agarose gel. According to Cornelia Hampe, Ph.D., product manager, gene editing, Takara Clontech, CRISPR-Cas9 can be easily adapted to target any genomic sequence by changing the 20 base-pair target-specific sequence of the sgRNA, while keeping the Cas9 protein component unchanged. High efficiency and the ability to multiplex—that is, the ability to use multiple sgRNAs in parallel to target multiple sites simultaneously in the same cell—are other advantages of the technology. (A) The Guide-it sgRNA Screening Kit from Takara Clontech was used to assess the in vivo cleavage efficiency of four sgRNAs targeting the CXCR4 gene. A negative control (NC) that lacked sgRNA was included for comparison. (B) HeLa cells were co-transfected with plasmids encoding Cas9 and one of the sgRNAs using Takara Clontech’s Xfect Transfection Reagent. Six days after transfection, the efficiency of CXCR4 gene disruption was assessed by flow cytometry using an FITC-labeled antibody against CXCR4. There was a clear correlation between the efficiency predicted by the in vitro Cas9 cleavage assay and the functional knockout of CXCR4. As predicted by the in vitro analysis, sgRNA3 resulted in the lowest percentage of knockout cells. Life sciences companies are improving the delivery and expression of CRISPR-Cas9 components in different systems while working to reduce off-target effects. For example, over the last decade, Sigma-Aldrich has gained significant experience in the design, assembly, and manufacture of RNAi/genome-editing technologies, said Imran Tahir, the company’s scientific liaison specialist. He added that Sigma-Aldrich has identified unique DNA sequences for targeting in whole human, rat, and mouse genomes. All this experience, coupled with off-target screening and nickase-CRISPR pairing, allows the company to present gRNAs that are well suited for both genome-editing applications and also quick knockout screening. Sigma-Aldrich’s new highly efficient, non-liposomal polymeric transfection reagent, TransIT-CRISPR, is optimized for use with the company’s CRISPR-Cas9 DNA, RNA, Cas9 RNP complexes and siRNA. In addition, different scenarios are covered for gene-editing experiments, from plasmid DNA for transient transfections, to lentiviruses for transfecting hard-to-transfect cell lines, to RNA for direct embryo injection. The range of formats caters to medium- to high-throughput CRISPR applications for in vivo, in vitro, arrayed, and pooled screens. 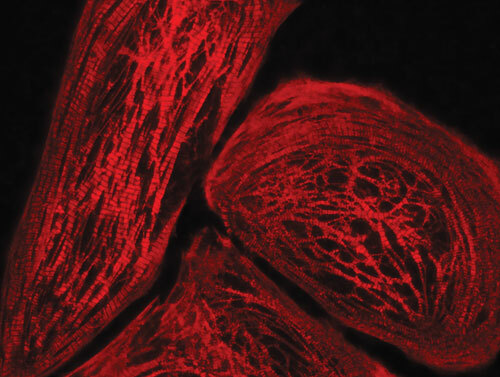 Researchers at DuPont Pioneer recently reported in Plant Physiology that they used Bio-Rad Laboratories’ Gene Pulser® electroporation system and PDS-1000/He™ biolistic transformation system to demonstrate the utility of Cas9-guide RNA technology as a plant genome-editing tool to enhance plant breeding and crop research. The study involved the use of targeted mutagenesis, editing of genes, and site-specific insertion of a trait gene using CRISPR-associated (Cas)-guide RNA technology in maize. Steffen Lawo, Ph.D., senior scientist, and colleagues at Horizon Discovery have adapted a pooled-based screening protocol, where lentivirus transduction delivers both the Cas9 endonuclease and the sgRNA to the cells. The team used both custom libraries and the GeCKOv2 whole-genome library, which is composed of sgRNAs designed to target Cas9 to initial consecutive exons of the open reading frame (ORF). The nuclease then introduces double strand breaks that induce non-homologous end joining), resulting in frame shift mutations and premature stop codons in the ORF. The prospect of a complete loss of gene function enables a biologically robust interrogation of phenotypes to identify novel hits in positive and negative selection screens. As a proof of concept, they repeated a genome-wide positive selection screen to identify resistance factors against Vemurafenib (PLX-4032), a BRAF kinase inhibitor, in A375 melanoma cells, which have a BRAF V600E gain-of-function mutation. The scientists also used the GeCKOv2 knock-out library containing 6 guide RNAs against 19,050 genes. PLX-4032 treatment over 14 days caused a decrease in the median representation of guide RNAs compared with DMSO treatment. However, there was a marked increase of guide RNA counts of a sub pool of cells consistent with a population of cells developing resistance to PLX-4032 treatment. Two-hundred-and-twenty-eight sgRNAs had >100-fold enrichment after PLX-4032 treatment, with several guides targeting the same genes. The findings recapitulated previously published data, unambiguously identifying all validated hits whose depletion can confer resistance to Vemurafenib, as wells as additional genes from the same pathways, according to the researchers.